Standard Life had an awareness and comprehension problem. The brand operates in a very cluttered market with minimal differentiation between brands and very low emotional engagement in the pension sector. Our solution was to reintroduce the brand through an emotional reframing of its offering. Rather than feature the tired tropes of retirees playing golf, or the complex language of financial products and ARFs, we instead brought to life the reality of the changing attitudes towards retirement. 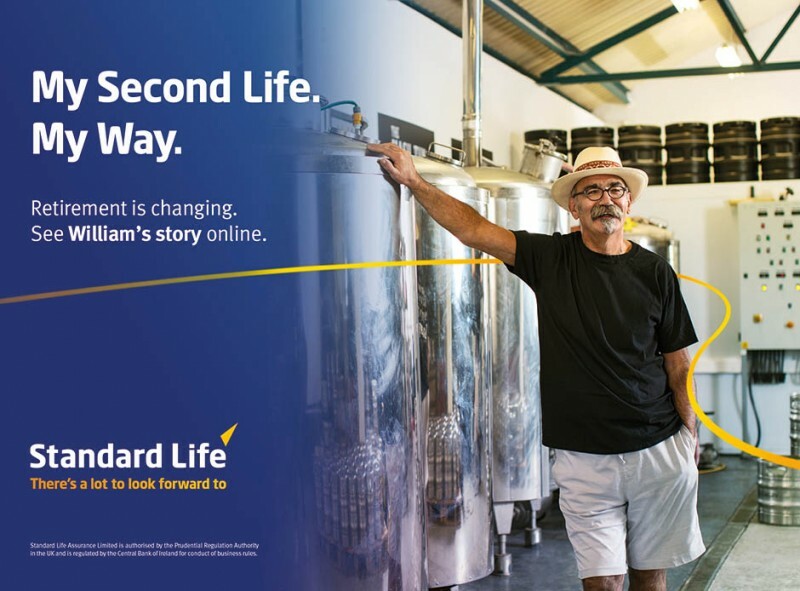 To position Standard Life as the brand who is redefining the pension planning sector, we developed the idea of a “Second Life” – an entirely more relevant way of looking at retirement. 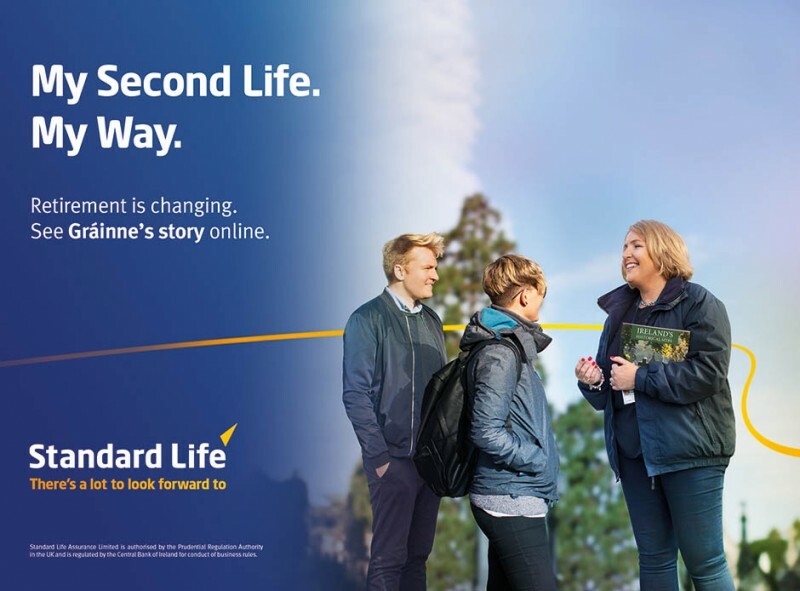 Spearheaded by a content series telling the stories of some real ‘second lives’, the theme acts as the umbrella through which the Standard Life brand and advisors can frame their financial services offering to people. An extensive search found some inspiring stories, notably William and Grainne – both pursuing very inspiring ‘second lives’ in ‘retirement’. The campaign shows how small decisions made along the way, can benefit you in the long term. Your financial future doesn’t have to fill you with dread; there is energy, passion and drive in your ‘Second Life’.